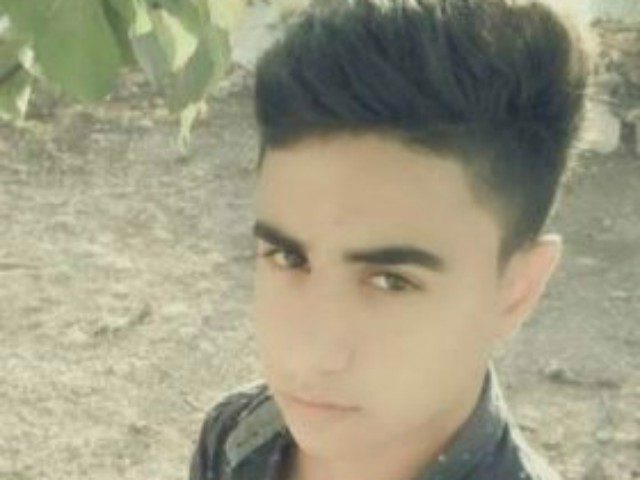 Terrorist Muhammad Tareq Dar Yusuf, 17, snuck into the Adam settlement outside of Jerusalem and stabbed Yotam Ovadia to death outside of his home and injured two others before being shot and killed. Ovadia had just left to prepare a surprise romantic meal for his wife in honor of Tu B’Av, the Jewish Valentine’s Day, when he was attacked. The next day, both the Palestinian Authority and Fatah declared him a “Martyr,” according to a report by Israeli monitoring group Palestinian Media Watch based on comments published in the official PA daily Al-Hayat Al-Jadida. “A young man from Kubar died as a Martyr after stabbing three settlers north of occupied Jerusalem,” the PA daily said. Declaring Yusuf a martyr means his family will be eligible to receive a one-time grant of 6,000 shekels ($1,643) and a monthly allowance for life of 1,400 shekels ($383). “We will not accept a cut or cancellation of salaries to the families of martyrs and prisoners, as some are trying to bring about,” he told representatives of an advocacy group for Palestinian prisoners. Around 35,000 families of Palestinians killed, wounded or serving sentences in Israeli prisons receive monthly remunerations of as much as $3,500. In 2018 the PA’s so-called “pay-for-slay” scheme amounted to approximately $330 million, which constitutes seven percent of the Palestinian Authority’s $5 billion budget. At Ovadia’s funeral Friday, Israeli lawmakers laid the blame for his death on the PA, its payments to terrorists and their families and the incitement to violence taught in PA schools. “To those who think that the Palestinian Authority is part of the solution, it is not! It is the problem!” shouted deputy defense minister Eli Ben Dahan. “Responsibility lies with the Palestinian Authority. Those who teach hatred will pay a price,” warned Tourism Minister Yariv Levin. “The lowly terrorist will not achieve his goal. We will continue building on our land,” he added.